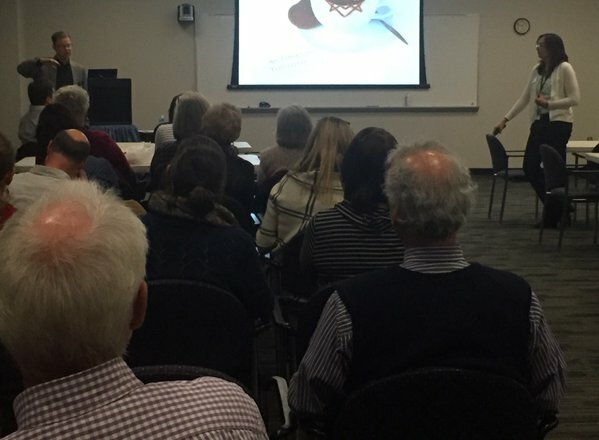 Thursday, December 15, 6-8pm - Heather Washburn of Calico Studio hosted a holiday party at NCSU Centennial Campus, Cloudbees, Venture I Building, 940 Main Campus Drive, Raleigh. 54 people attended. E. Stewart Williams (1909-2005) was a prolific Modernist architect based in Palm Springs. 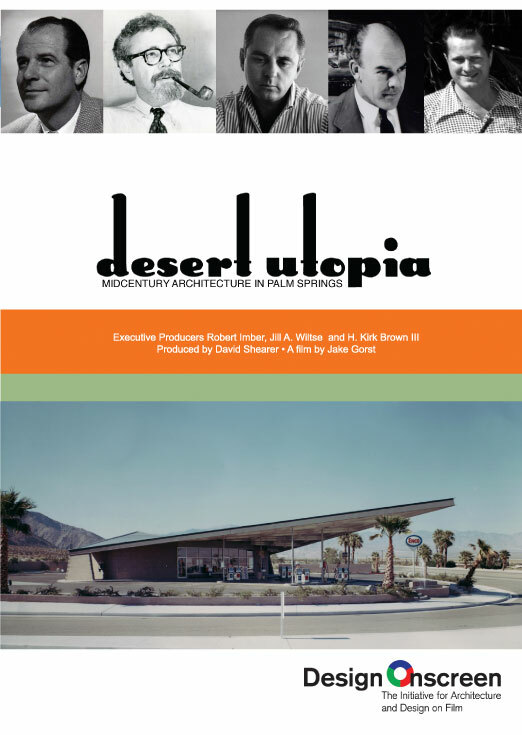 This film traces Williams’ family history and professional career, from the early days designing a home for Frank Sinatra, to the later years, producing civic structures, including the Crafton Hills College, Palm Springs Art Museum and Santa Fe Federal Savings, now the Palm Springs Art Museum’s Architecture and Design Center, Edwards Harris Pavilion. 118 people attended. 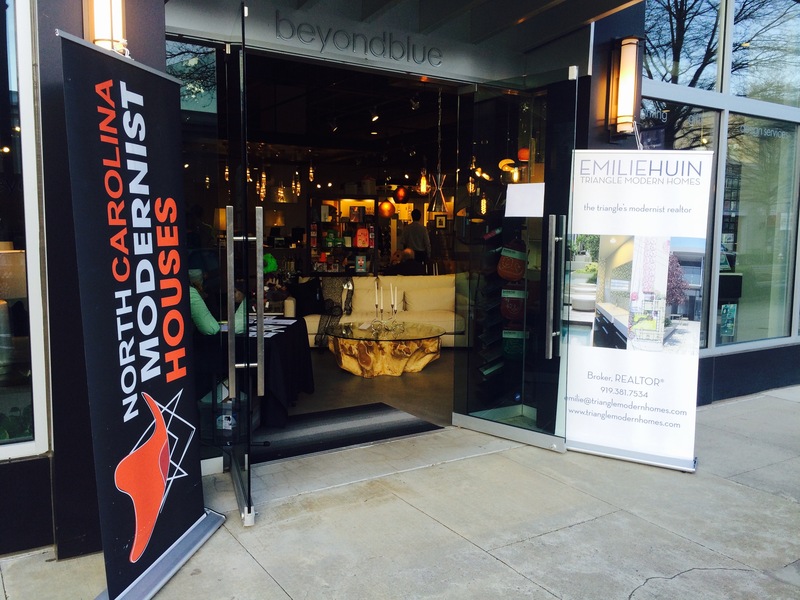 We joined Kelly Wohlengant at Retro Modern Furnishings, 300 West Hargett #24, Raleigh. 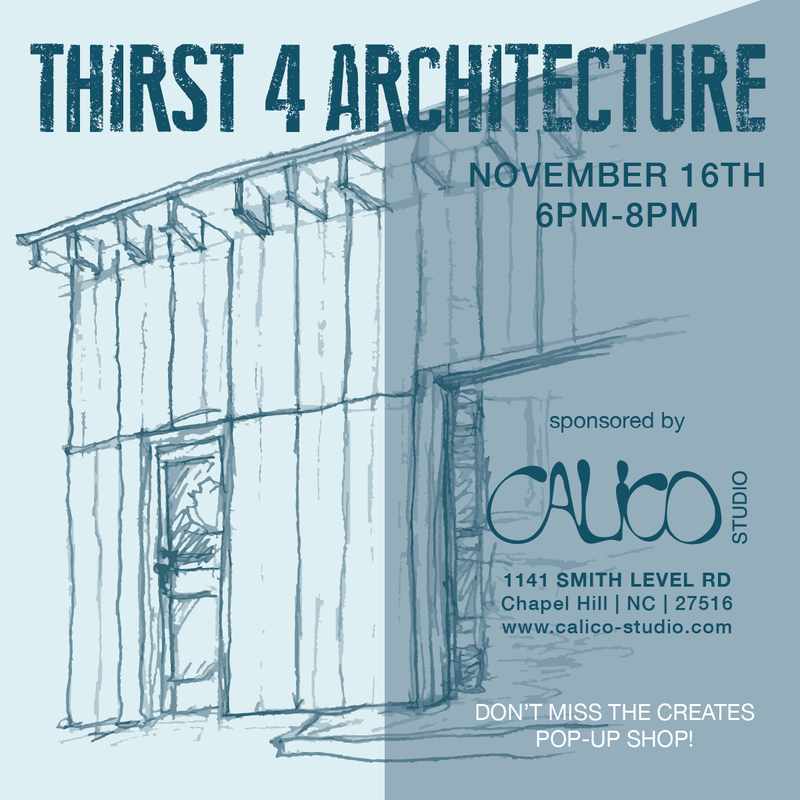 Plus Sarah Tector, a local metal jewelry artist, who focuses on Modernist designs. 35 people attended. 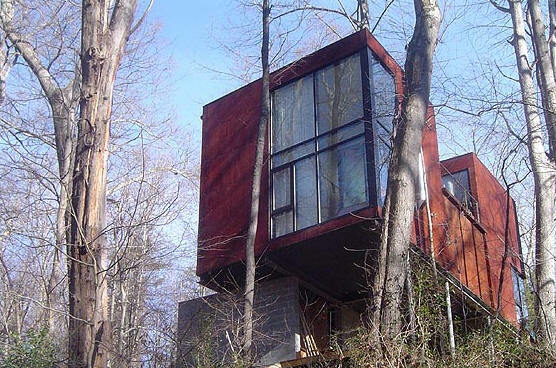 During the 1950s and 60s, Donald Wexler pioneered commercial and residential construction using steel and prefabrication. He applied his groundbreaking techniques and unique style to projects for clients such as Dinah Shore, Frank Sinatra, the Alexander Construction Company and Walt Disney World Resort. 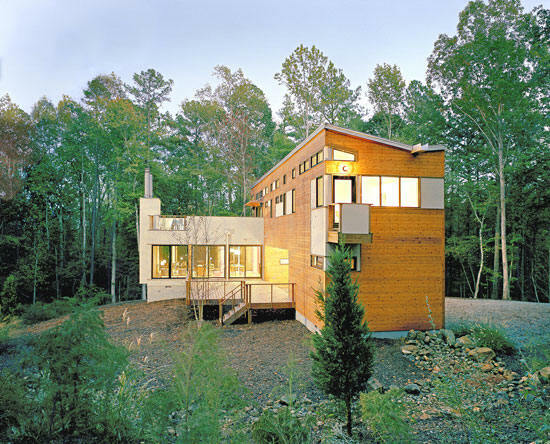 Today Donald Wexler’s work is garnering new appreciation worldwide and providing inspirationfor a new generation of architects. 79 people attended. 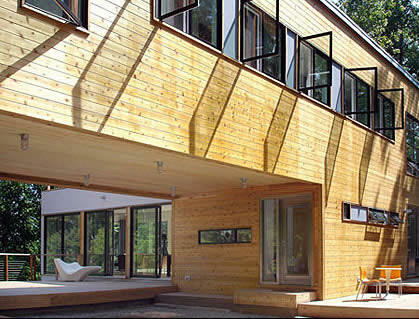 In 2003, Joseph Tanney and Robert Luntz of Resolution4 Architecture in New York designed this modular house. 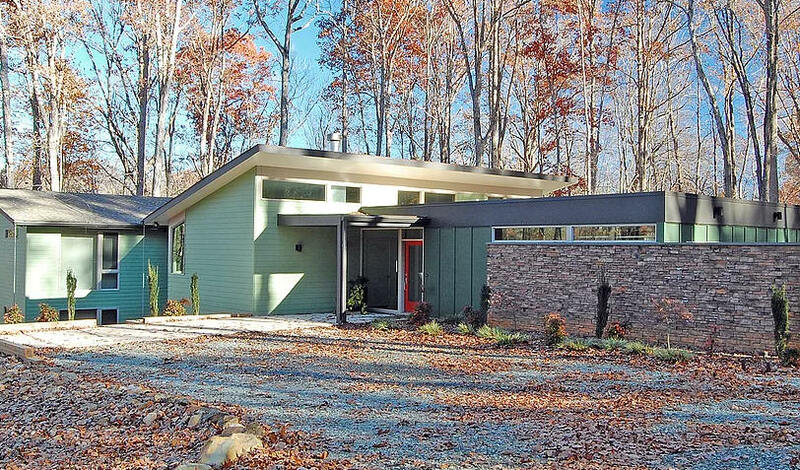 It was called "the most high-profile modern prefab house in America" by the Washington Post and credited by many writers as the spark in a new movement of modern prefab housing. 250 people attended. 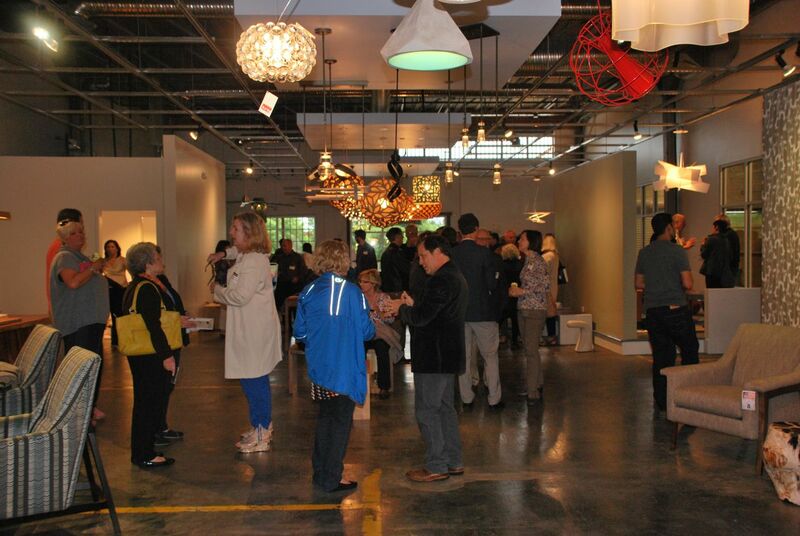 45 people attended George Smart's talk at Universal Furniture International at High Point Market. 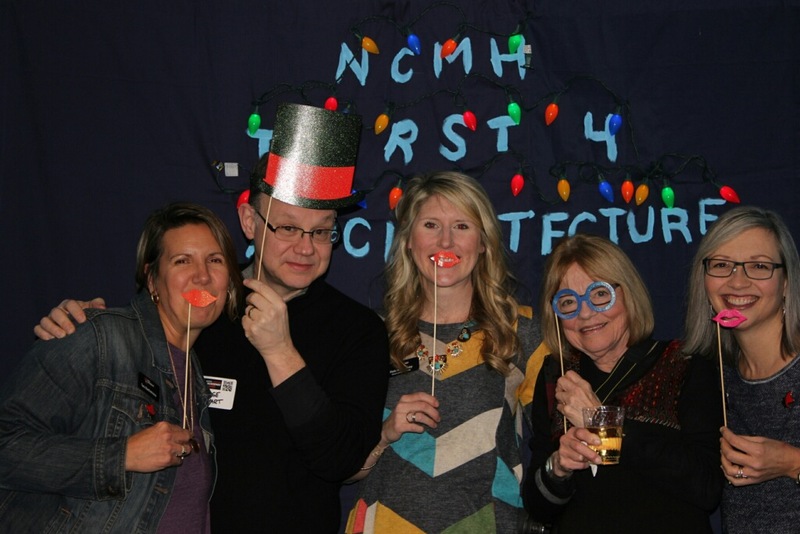 130 people attended at Raleigh Architecture Company's annual party with NCMH at Trophy Brewing Company, Maywood branch. Special guest: Lester Levine, author of 911 Memorial Visions: Innovative Concepts from the 2003 World Trade Center Memorial Design Competition, signed his book. Levine spent nearly seven months as the only person to ever review all 5,201 entries to the 2003 World Trade Center Memorial Design Competition, identifying designs that challenged traditional ideas of a public memorial. 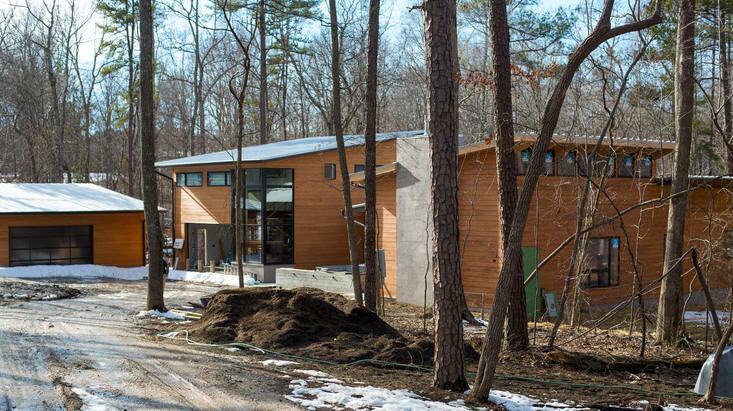 After four years of seeking out and interviewing the creators of those designs, Levine tells the story of the evolving concept of an American memorial. 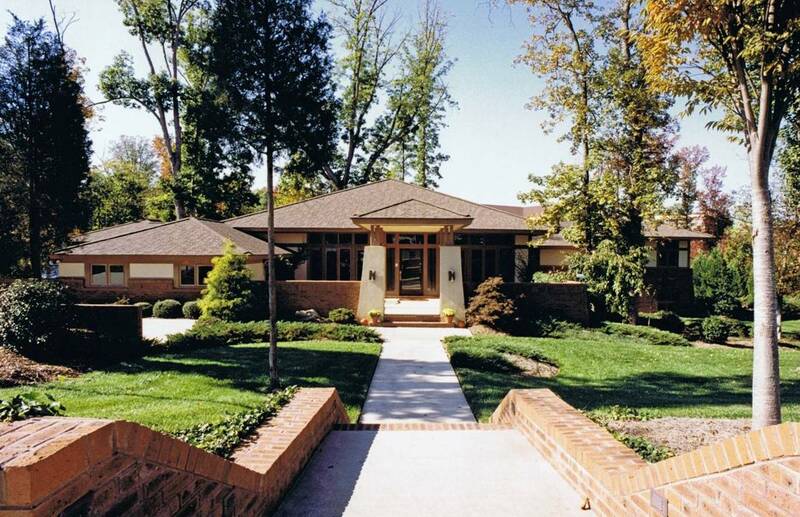 45 people attended George Smart's talk on Mayberry Modernism at the City Club. 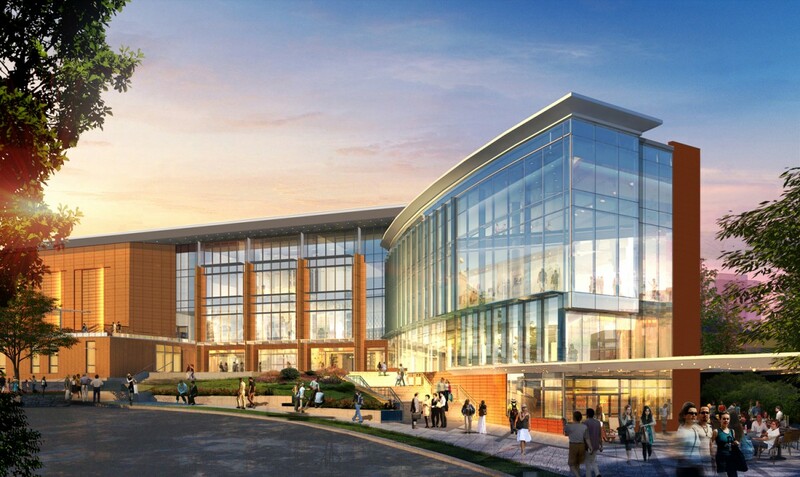 95 people attended at the new Form & Function building in Raleigh. 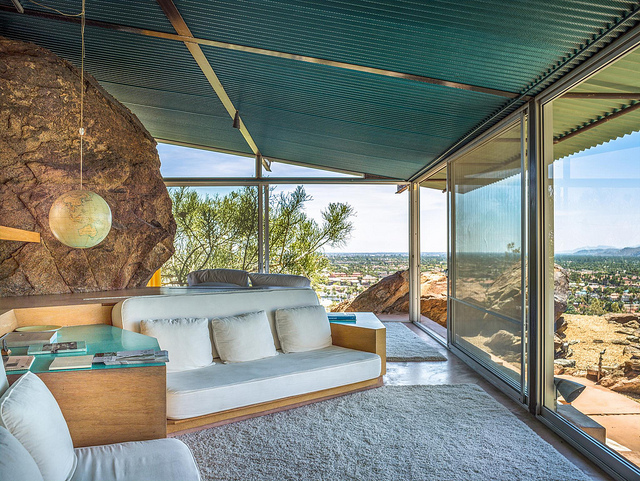 Desert Utopia traces the origins of midcentury architecture in Palm Springs. 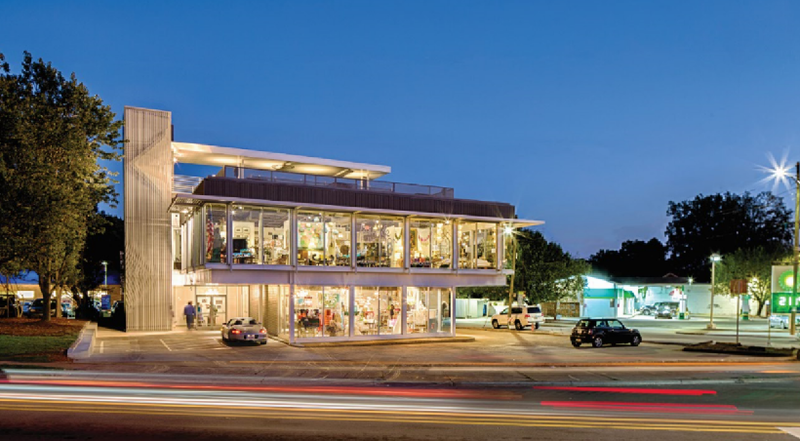 Jake Gorst’s film brings alive landmark structures by Richard Neutra, Albert Frey, E. Stewart Williams, Donald Wexler, William Cody and William Krisel and features never-before-seen archival footage of the architects and construction. 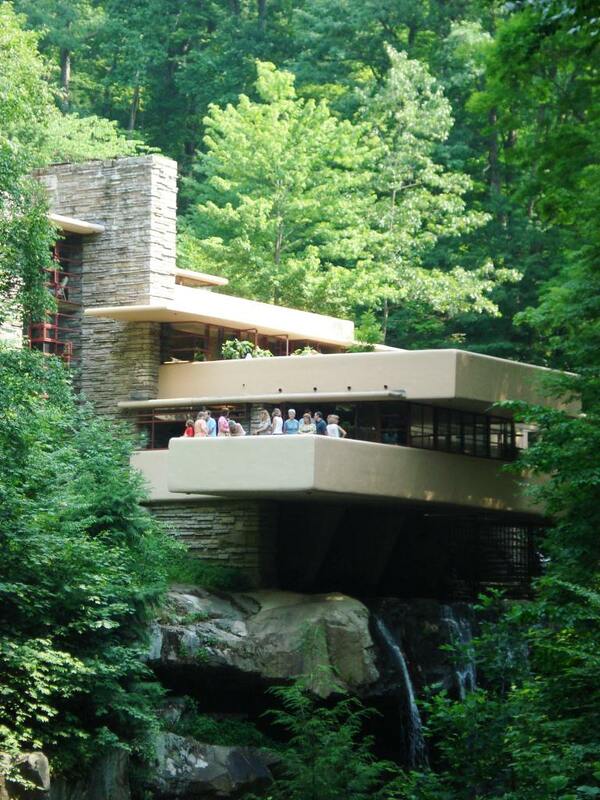 24 people travelled to see Fallingwater, Kentuck Knob, and Polymath Park on NCMH's annual trip. 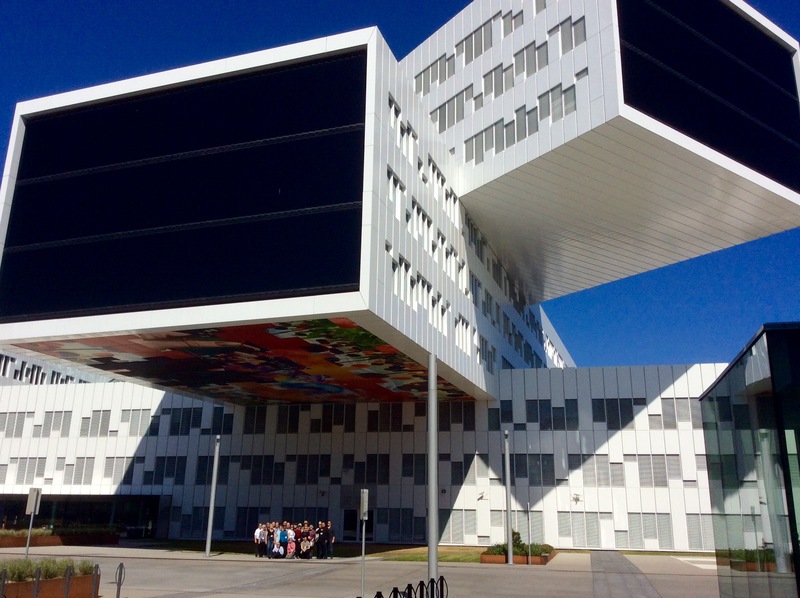 NCMH went to the Queen City's Modernist houses and of course our always popular stop at IKEA on the way home! Plus the Bechtler Museum of Art for The House That Modernism Built, a rich mid-20th-century art collection alongside furniture, textile, and ceramic holdings on loan from various institutions including Eames Office, Herman Miller Archives, the Gregg Museum of Art & Design along with works from private collectors. The works included Victor Vasarely, Zoltan Kemeny, Kenneth Noland, Roy Lichtenstein, Charles and Ray Eames, Alexander Girard, and Buckminster Fuller. 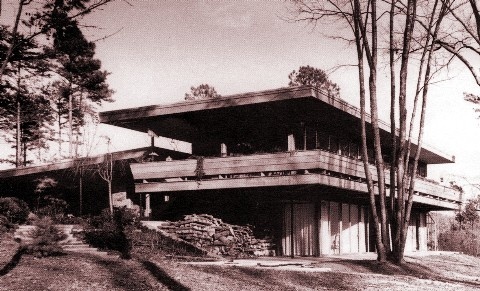 The Epstein House, designed by Stan Russell. 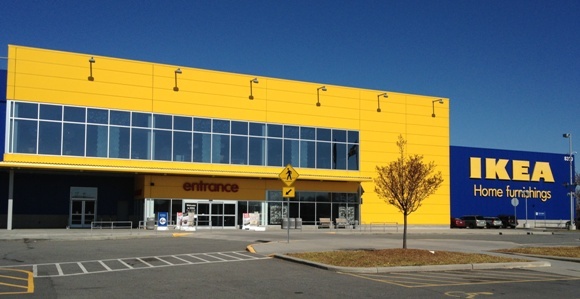 And finally, IKEA, the massive modern furnishings store. 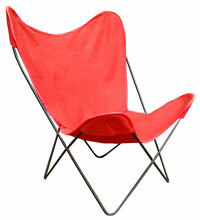 Leland Little Auctions. Leland, Clare, and Luke hosted 70 people at their auction preview. 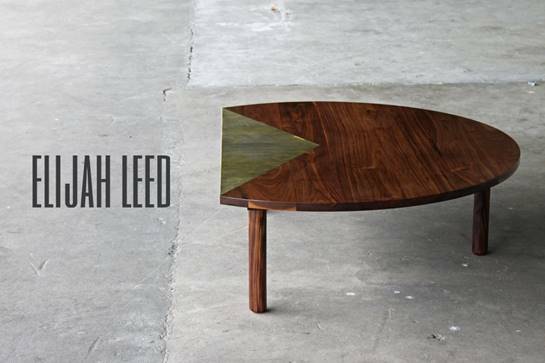 Ana Maria Muñoz hosted the launch of Flitch Furniture. 85 people attended. 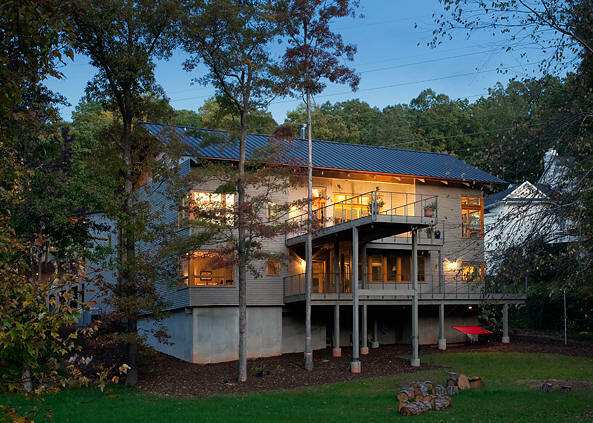 150 people toured the McDaniel Residence, aka the Bridge House because of its unique bridges on the front and back. Built by Durham Potter. 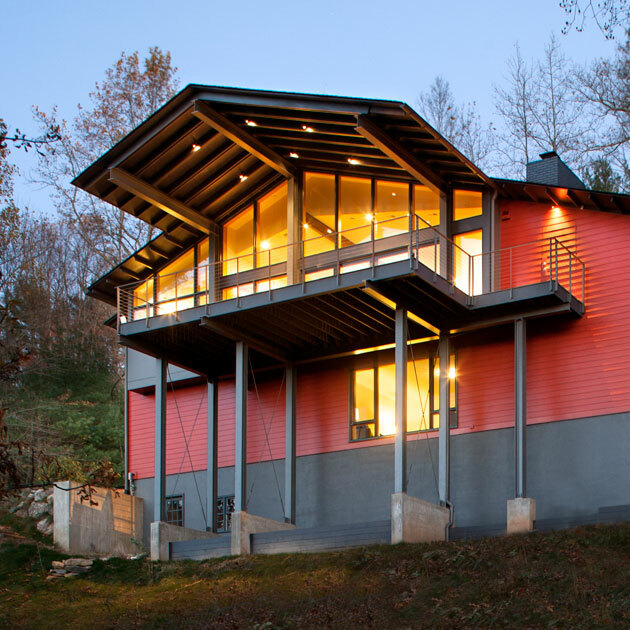 Designed by Chad Parker and Brett Hautop of Vernacular Studio. 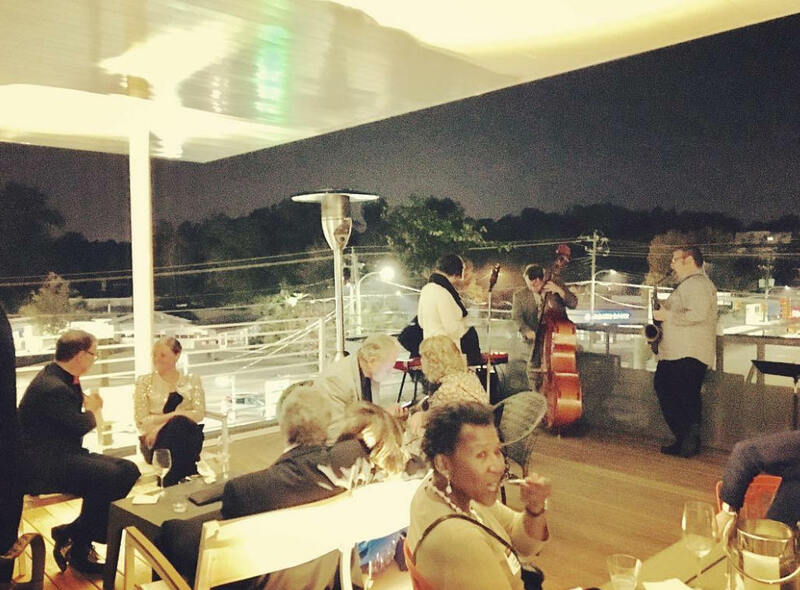 Many thanks to McConnell Studios for hosting the party! Over 200 attended. 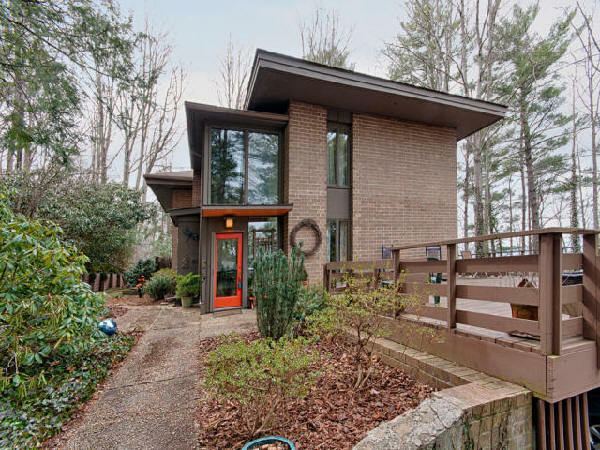 Designed by George Matsumoto and John Latimer, this heralded Tar Heel home housed the Taylor family including mom Trudy, dad Ike, James, brothers Livingston, Hugh, and Alex, and sister Kate. 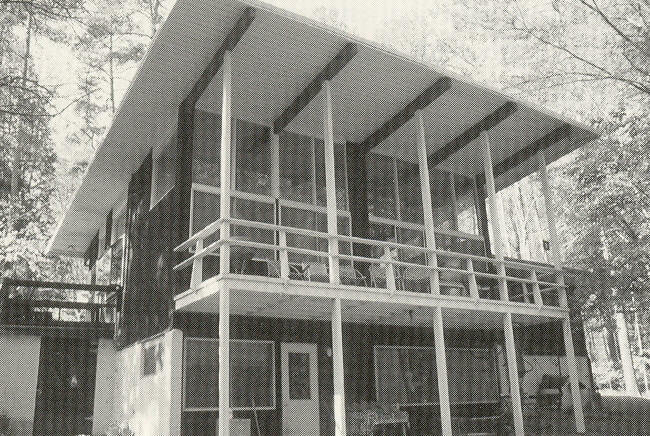 Besides the main house, people saw the 2-bedroom guest house where James and his siblings played music during the early 1960's. 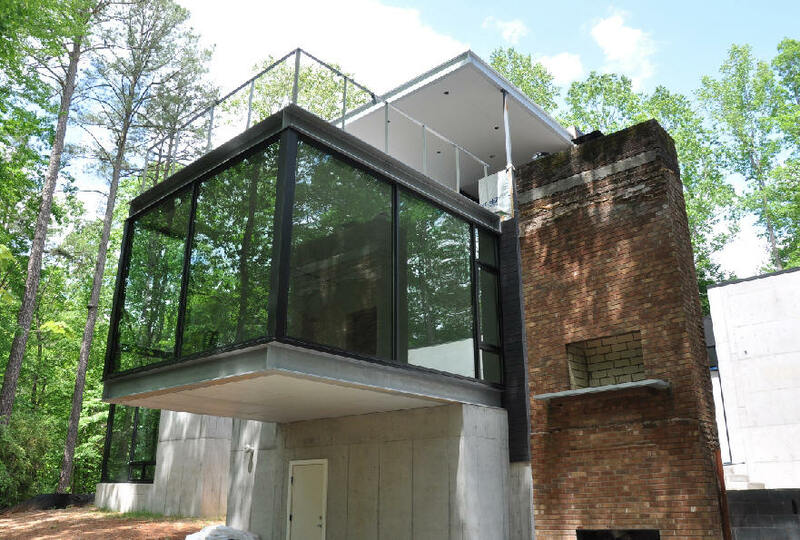 The lower floor contains the children’s bedrooms, the upper floor had a master bedroom and living room. 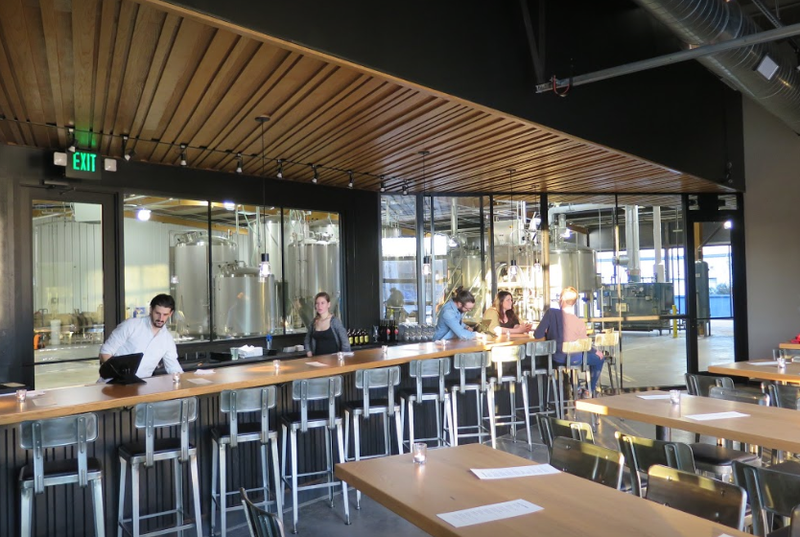 The kitchen, renovated in the late 1960's by Arthur Cogswell, is on the mezzanine level. Over 450 people attended. 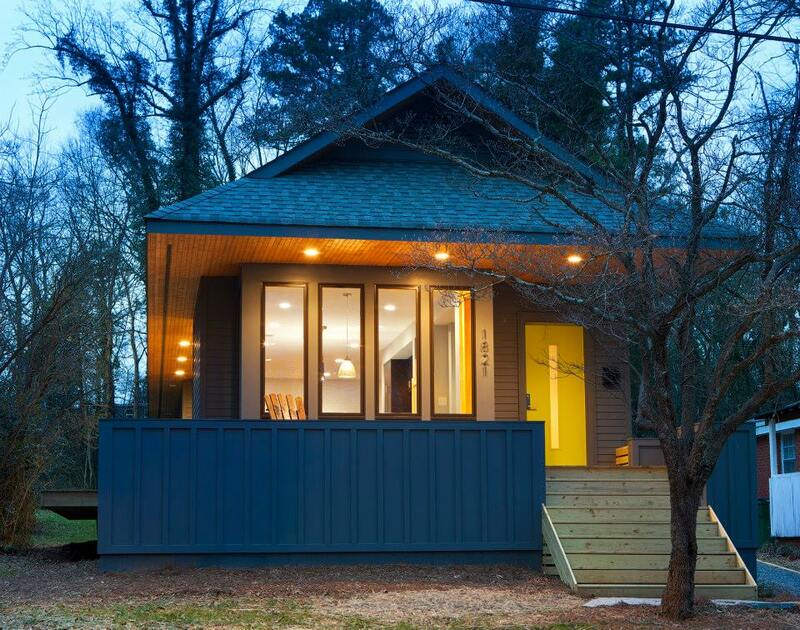 105 people joined Erik, Randy, Leon, and the staff of BuildSense at their cool, super-green-sustainable offices in downtown Durham, 502 Rigsbee Avenue. George Smart spoke to 45 people at PG Werth's in Raleigh. George Smart spoke to 35 people at the Rotary Club of the Capital City in Raleigh. George Smart spoke to 30 people at the Chapel Hill Howard Perry and Walston office. 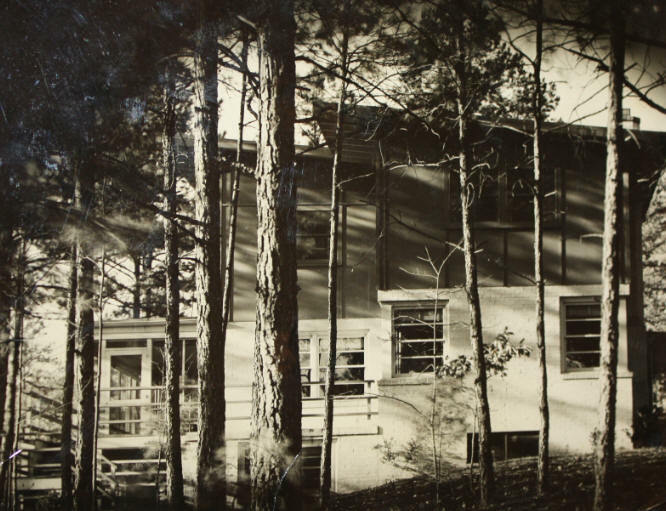 Besides the main house, people saw the 2-bedroom guest house where James and his siblings played music during the early 1960's. 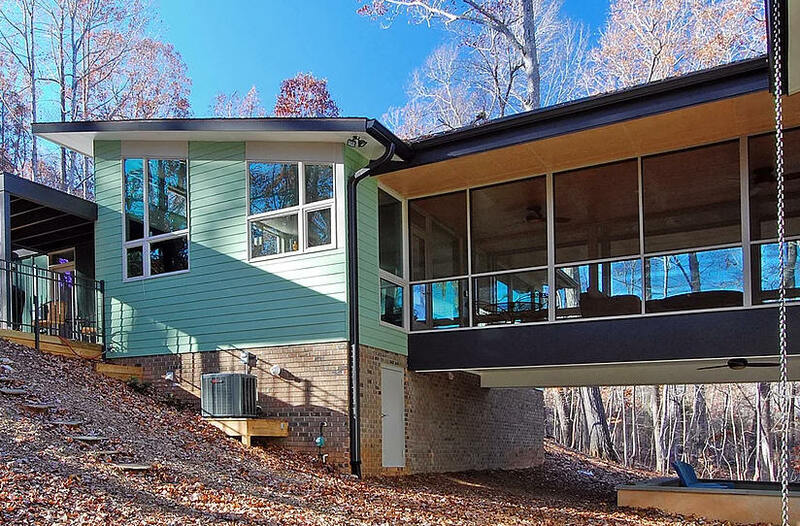 The lower floor contains the children’s bedrooms, the upper floor had a master bedroom and living room. The kitchen, renovated in the late 1960's by Arthur Cogswell, is on the mezzanine level. 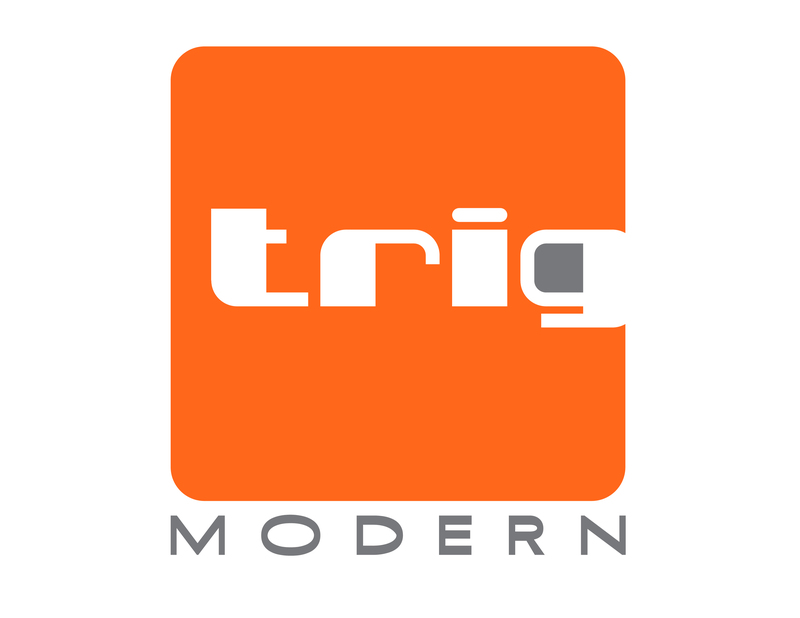 110 people joined Bob Drake at TRIG Modern at his new location, 1053 East Whitaker Mill Rd, Raleigh. Photos by Leilani Carter. 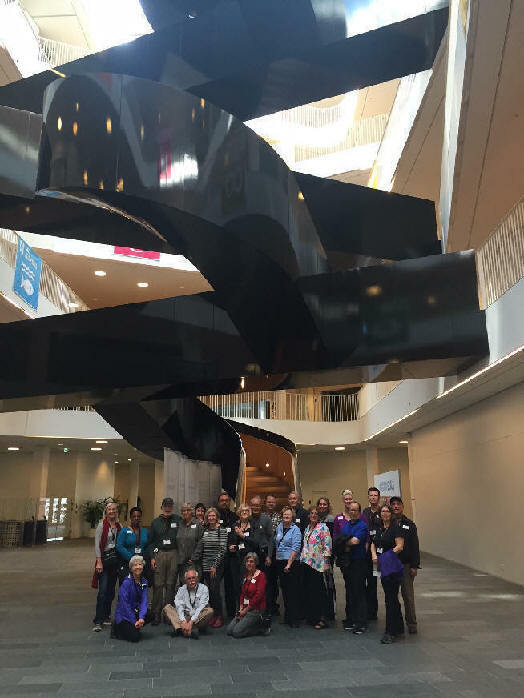 23 people went on the adventure of their lives touring the buildings and natural beauty of Scandinavia: Sweden, Norway, and Denmark. We took a walk on the mod side with jewelry made from rubber, steel, iron, gold, and platinum for women and men. 45 people attended. 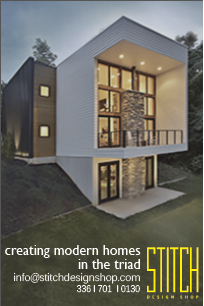 STITCH Design Shop hosted our first T4A in Winston-Salem at BlauHaus, a new Modernist house in town. 115 people joined Adam, Ben, Cam, and Pete for a great party. 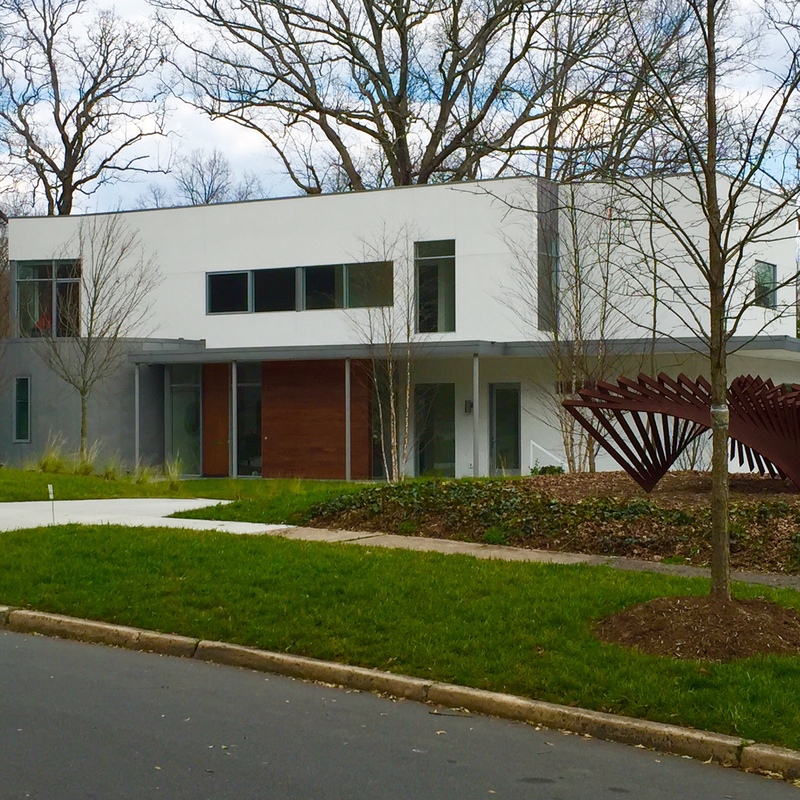 54 people enjoyed great day touring new, classic, and recently-renovated Modernist houses around the Triangle without the hassle of driving. The adventure included the company of fellow Modernist fans, breakfast, snacks, a delicious lunch, and free wifi in our luxury restroom-equipped, air-conditioned bus. 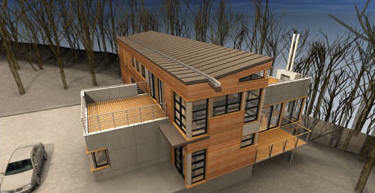 Architects and designers were on hand to talk about their houses. 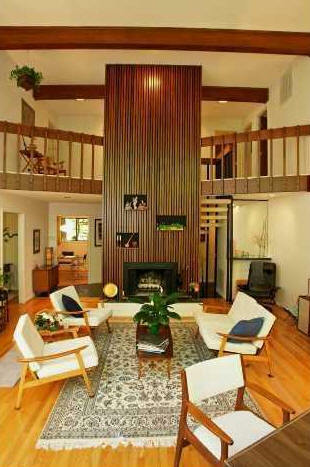 The 1948 Henry and Mabel Kamphoefner House, designed by Henry Kamphoefner with George Matsumoto. George Smart spoke to 15 people at Hill House for the Junior League of Durham and Orange Counties. 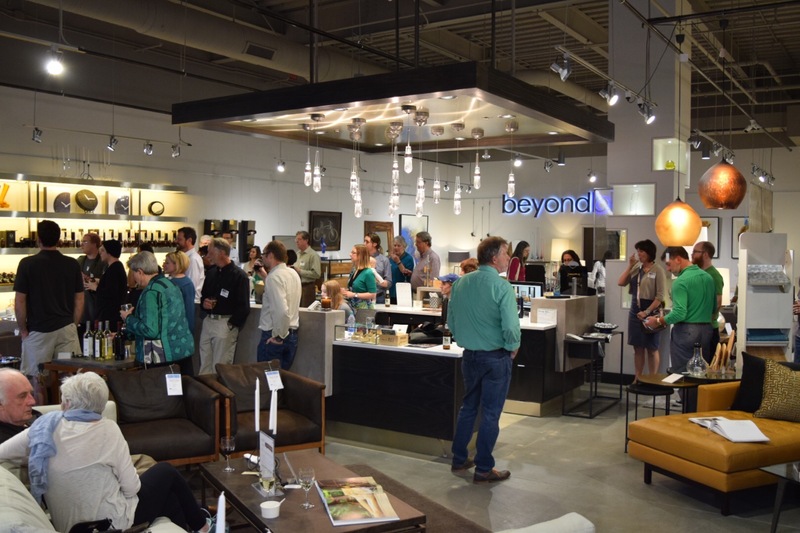 BeyondBlue Interiors, North Hills, Raleigh, with great food by both Bida Manda and David’s Dumpling & Noodle Bar. 68 people attended. Photos by Rebekah Laney. 15 people went on this awesome trip! We'll be going again next year for sure. 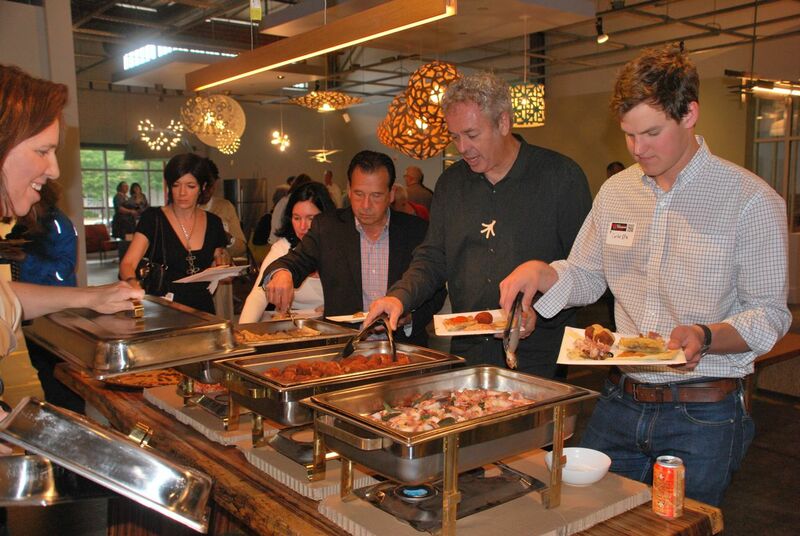 170 people joined Mike and Ann at their annual Eidolon Designs Oyster Roast, 414 Dupont Circle, Raleigh. 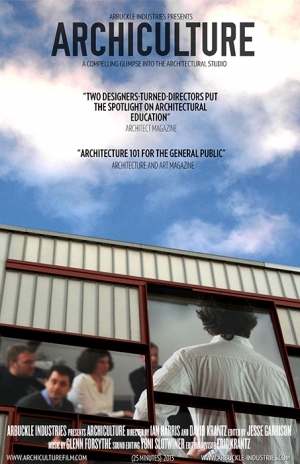 Archiculture (2013): a thoughtful, yet critical look at the architectural studio. 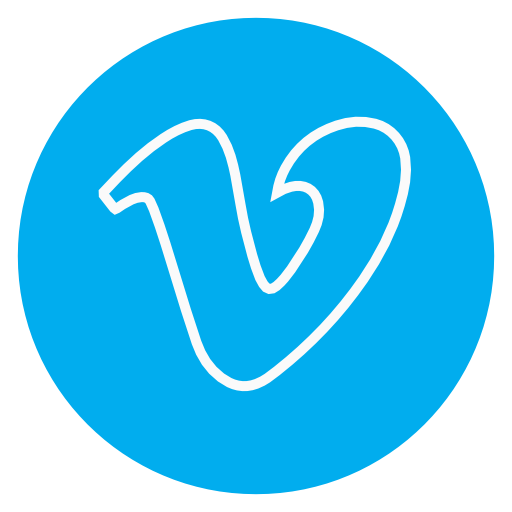 The film offers a unique glimpse into the world of studio-based, design education through the eyes of a group of students finishing their final design projects. 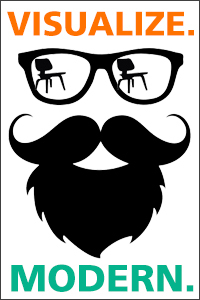 Interviews with leading professionals, historians and educators help create crucial dialog around the key issues faced by this unique teaching methodology and the built environment these future architects will create. Trailer. 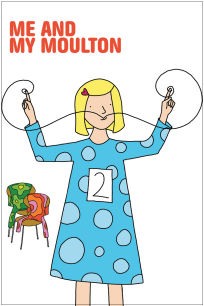 Me and My Moulton (2014): In this witty animated short film set in 1960's Norway, a seven-year-old girl asks her hopelessly out-of-touch Modernist parents for a bicycle, but the unconventional ways of this architect couple soon produce comical embarrassment and anxiety. Nominated for a 2015 Academy Award. Trailer. 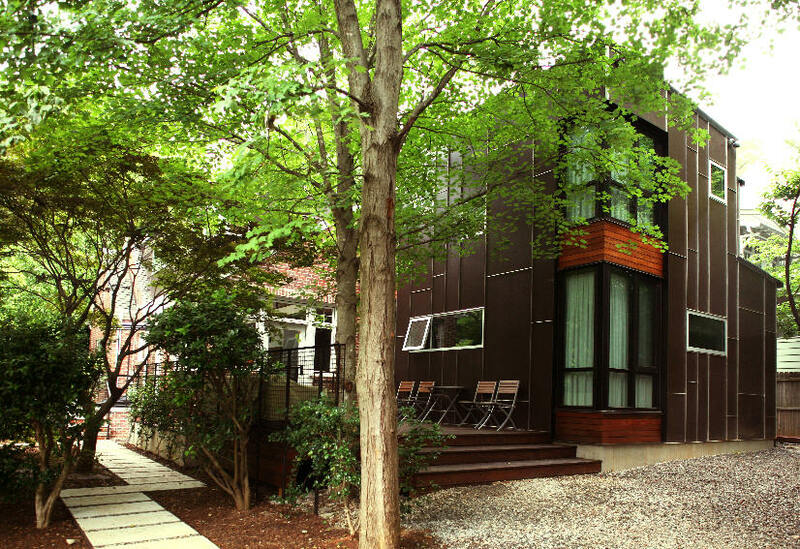 Elijah Leed Studio, 812 North Mangum Street, Durham. 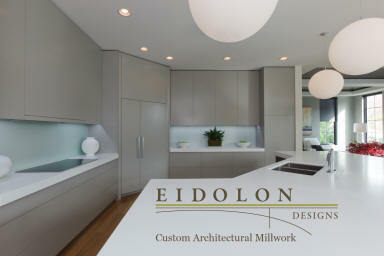 Custom furniture and cabinetry. 55 people attended. George Smart spoke to 61 people. George Smart spoke to 26 students of Duke's OLLI program. George Smart spoke at the NC Museum of History. 40 people attended. 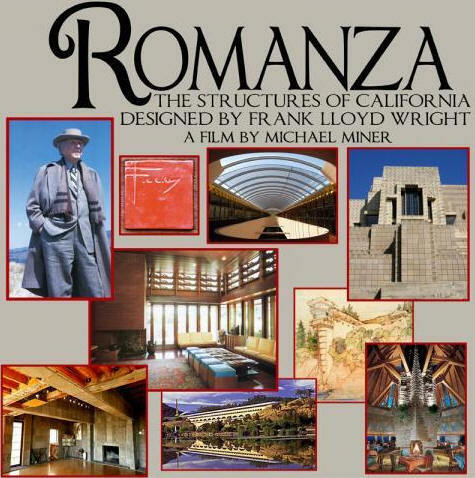 25 buildings Wright designed for the West Coast, weaving details of the architect's design principles with his life. 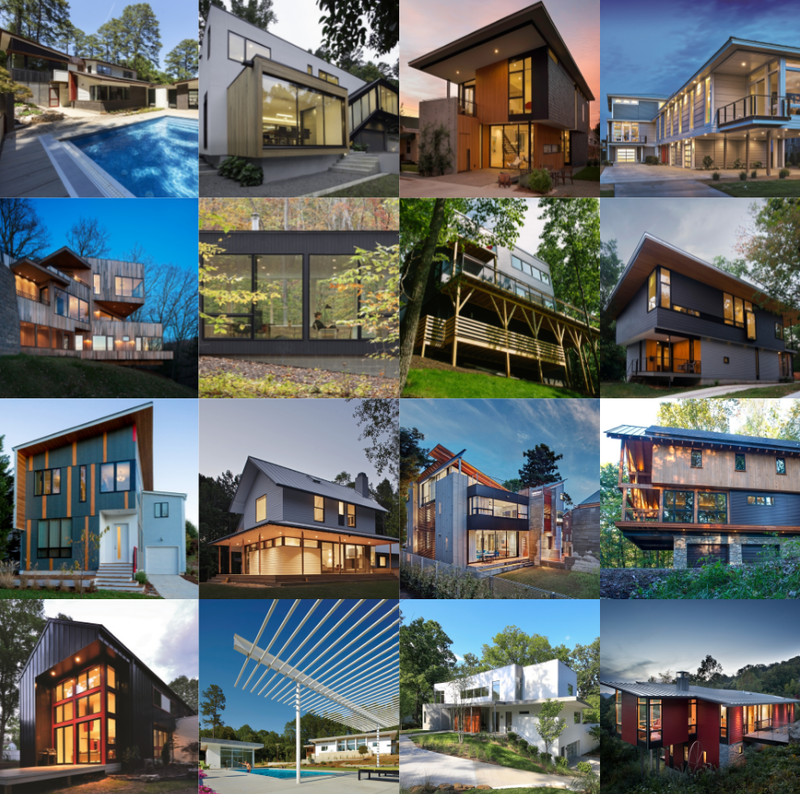 Interviews of Wright experts, clients, and people who live in and work in the buildings will have you feel the emotional bonds of the occupants with their homes! Trailer. 75 people attended.